This week I had the privilege of a private tour through the Old Dairy and Ranger’s Cottages in Parramatta Park. These historic buildings are not open as yet to the public as they are currently being prepared for tours. It was by the thoughtfulness and generosity of a dear friend who I went to primary school with that I was able to go in to have a look and take a mountain of photographs. As you may know I truly value our past whether it be good, bad or ugly and enjoy capturing it all with my camera to share. A bit of modern history and the reason why I was able to get a sneak peek behind the scenes; Rhonda Pearce, my friend Lea’s older sister, lived with her husband in the Ranger’s Cottage in the 70s and 80s and raised their family there. Keeping with tradition they had a few sheep, a horse and a number of chooks living inside their white picket fenced yard that backed onto the Parramatta River. Ideal? I bet it was! Many a family has worked and grown up within these walls. The original dairy was built on what was once called Salter’s Farm. This section of Parramatta was originally known as The Crescent, where Governor Phillip established Australia’s first inland settlement on 2 November 1788. When emancipist, and convicted brandy smuggler, George Salter, a Second Fleet convict, was granted 30 acres of farmland in 1796 he built what is now the earliest surviving worker’s cottage in Australia. The front two rooms of the existing Dairy Cottage were the original Salter’s Cottage built between 1798 and 1805. In 1813, Salter sold his cottage to Governor Macquarie and took up an appointment as Superintendent of Crown Stock in Hobart. Governor Macquarie then added another two wings around 1815 and turned the original cottage into the Government Dairy. Beside the Dairy Cottage stands the Ranger’s Cottage, built in 1875. This was built directly over the top of the dairy’s sunken milk room and was uncovered in 1993 when archaeologists removed the floorboards in the front bedroom. Lea tells me that this room always felt damp and now they know why. When the sunken milk room was uncovered it was subject to flooding from the nearby river and there has since been a pump installed. When the milk room was no longer being used by the dairy it became a cellar for the Ranger’s Cottage. Stout bottles were found in this room dating back to this period. The cottages are being kept in their state of decay so that people can see how they were constructed and how methods have changed over the centuries. I personally love the crumbling clay walls, the faded murals, the well trodden stones and the general atmosphere and will definitely return to see the progress of the museum. Many thanks once again to Lea Pearce and her family for giving me this opportunity. This is one of the tenets of the Bahá’í faith and we had the opportunity to drop into the Bahá’í Temple on Mona Vale Rd, Ingleside on the weekend. I have been here before, many years ago, but wanted to stop and have a look and take a few photographs on Sunday. The Bahá’í welcome all faiths and have a public devotional service every Sunday with readings from the sacred writings of the major religions of the world. They are also very welcoming to photographers and we were able to have a chat with a lovely lady who spoke to us about the temple and the foundations of the faith which was very interesting. This was not a recruitment drive, this lady was just informative and friendly. So if you’re passing by and are curious don’t hesitate to drop in. Quarantine Station at North Head definitely makes for great ghost stories. I took this photo of the “haunted” shower block during the daytime and stepping up to walk into the small entrance I could feel my legs resisting the challenge. Whether it be the subconscious knowledge that it has a ghoulish reputation or whether I was sensing something nasty I will never know but I do know that I will not be going back at night to find out. Officially, close to 600 people died at the station out of the 26,000 who stayed there between the quarantine site being founded in the 1830s and its closure in the 1980s. For 40 days after docking in Sydney Harbour immigrants suspected of carrying infectious diseases were kept at the Quarantine Station for the Colony’s protection. The notorious shower block came into play when the travellers arrived and were made to strip and shower in water containing Phenol (aka carbolic acid) to kill the germs, bugs, mites and whatever else may have stowed away with them whilst their clothing and belongings were disinfected in the autoclaves. Anyway, psychics claim that something pretty horrible happened in these shower blocks and there are tales of hauntings all over the Station grounds and buildings and there have been many creepy photographs and stories from ghost tours over the years. To me though, it’s a site of historical significance and a beautiful section of Sydney’s waterfront. How awesome to see these little guys buzzing around actively in the garden? many fear it is inevitable. 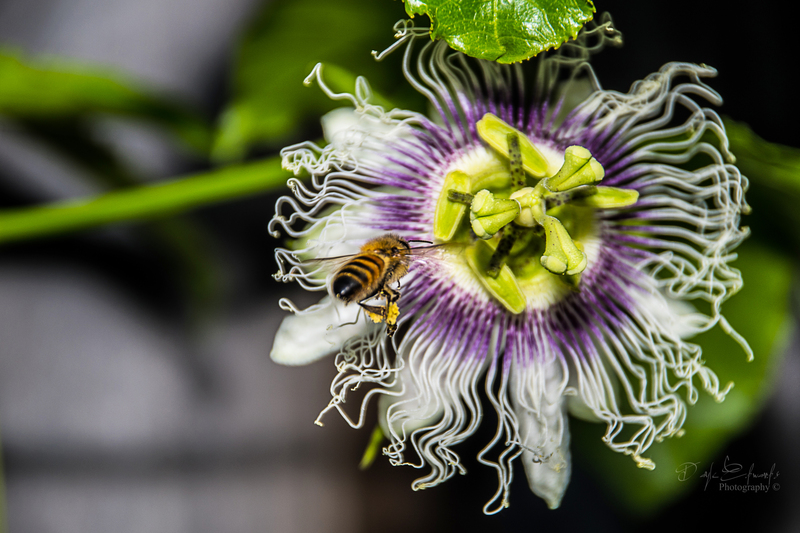 These busy little creatures pollinate about 90 per cent of our edible crops and are integral for the production of one third of the human diet. So ditch the pesticides please. We need a strong honeybee presence in order to survive! So I have new blog page, a new name & a new logo. Things are really beginning to take off! I am hoping to keep this site updated with news of my photo adventures around Sydney’s known and not so known areas. I will probably throw in a bit of history here and there as well to describe what I see and add upcoming events, festivals and outings whenever I come across them. 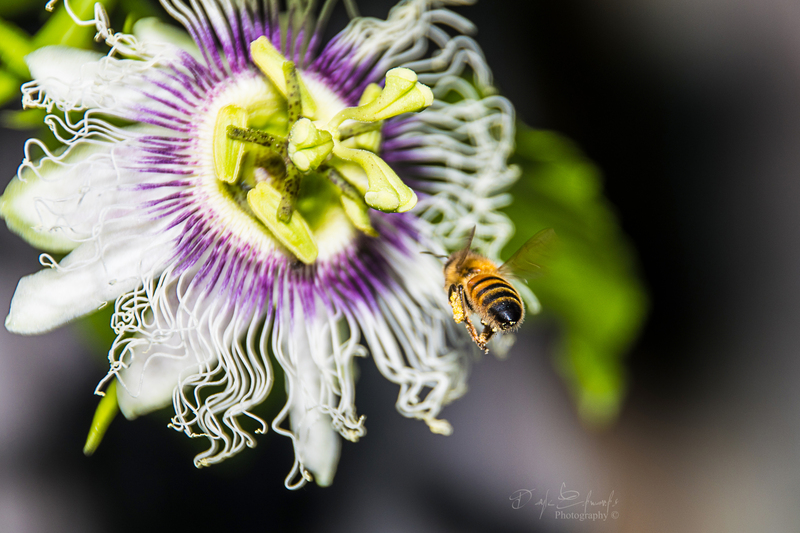 If you haven’t landed here from my website you can access it by clicking Dayle Edwards Photography and if you are interested in prints and assorted gifts please drop by my Redbubble site.